My granddaughters were happy to see their names spelled their way. Would recommend. I like this item alooooooooot !!!!!!!!!!!!!!!!!!!!! 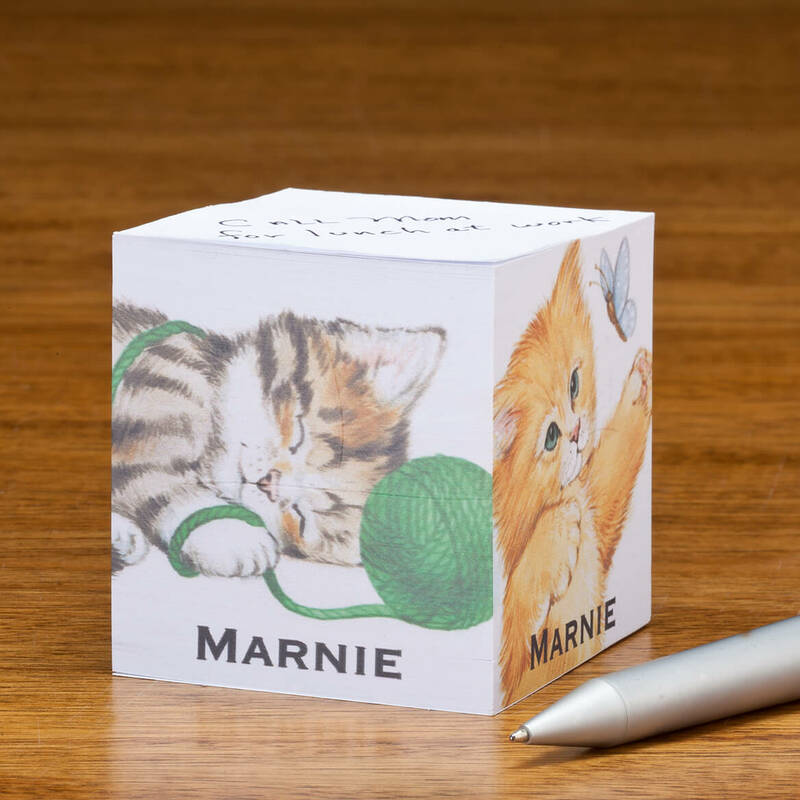 It is such a clever and adorable product. A great find. I love all things cat! It wil fit on my home work space. Less expensive than buying a few at a time in stores. 7 year old granddaughter love Kittens. 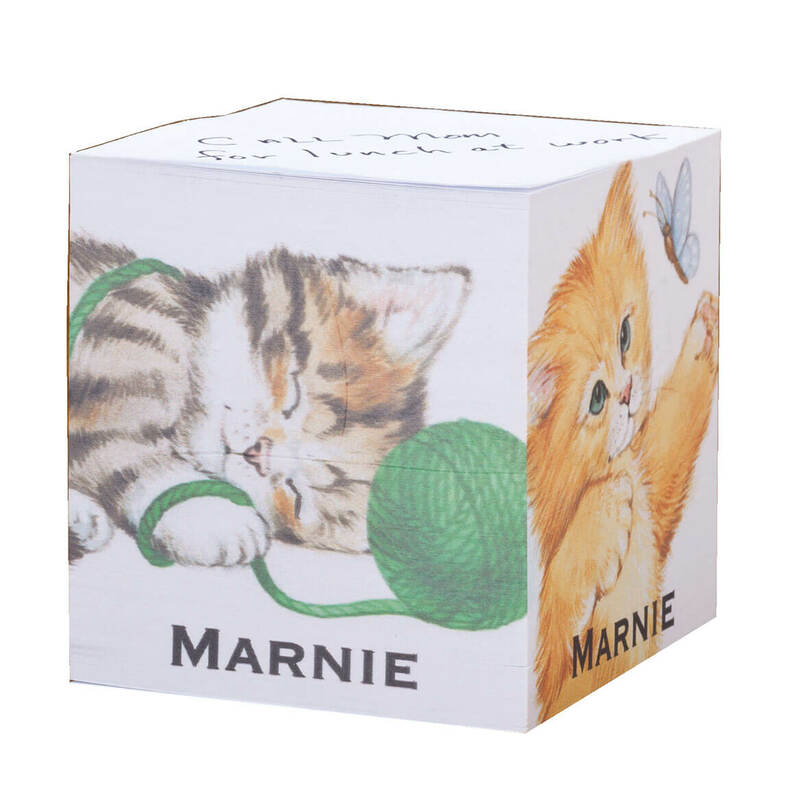 Needed a note cube for grocery lists and what not, and what better way to go about your to-do list than a personalized kitty note cube! Have a friend who is a cat lover.